How Long Do I Grill Fish in Foil? Grilling fish in foil can keep the grill from getting messy. Most people associate grilling with hamburgers and hot dogs, but fish has its place on the grill, too. Grilling fish in foil is an effective method for cooking any cut or type of fish, from flounder fillets and tuna steaks to a whole sea bass. The length of time needed to grill fish wrapped in foil depends mostly on the cut of fish. A whole fish will take the longest time, while a fillet will take the shortest. The time needed to grill a fish steak will be somewhere in the middle. The cut of fish you're grilling will determine how hot the grill needs to be. A grill is considered "very hot" if you can hold your hand over it for less than a second, "hot" for two to three seconds, and "moderately hot" for four to five seconds. Whole fish should be cooked at "moderately hot," fish steaks at "hot" and fillets at "very hot." Let the grill heat up for about 10 minutes before grilling the fish. Grill fish steaks and fillets eight to 10 minutes per inch of thickness, or four to five minutes per half-inch of thickness. 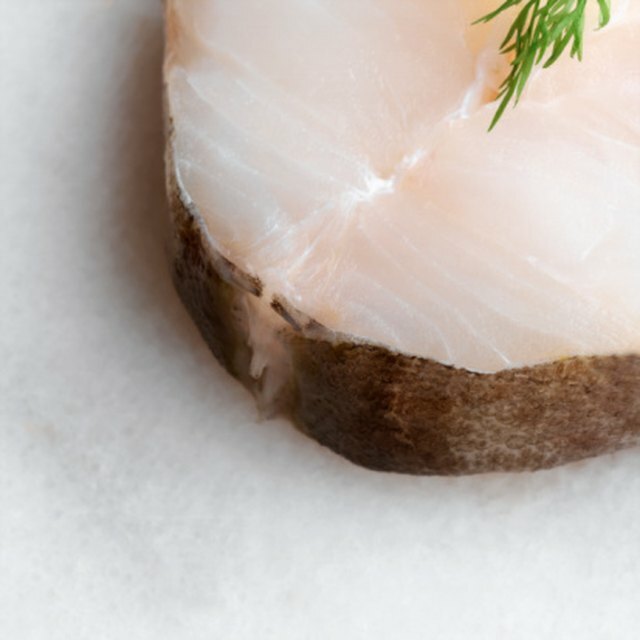 White fish usually takes less time to cook than red fish, such as salmon or tuna. A whole fish will need to be grilled 10 minutes per inch of thickness. Turn the foil packet over halfway through grilling to cook the fish evenly. 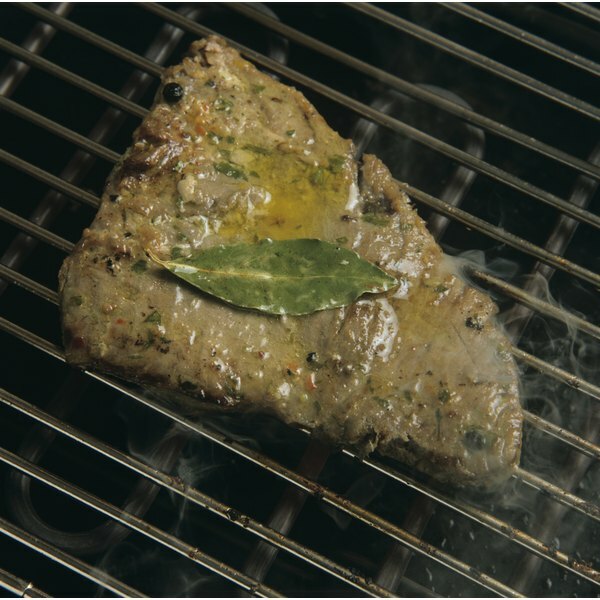 Grilling in foil allows you to cook thin, flaky fillets that usually break apart on the grill. Regardless of the cut of fish, it also keeps fish from getting stuck to the grill and keeps the grill clean. If you grill fish in foil, you can include a marinade or vegetables in the foil packet, too. Marie Anne Haughey has been writing since 2003 and has been published in college literary magazines and newspapers, and on an investment research website, Taipan Publishing Group. She writes instructional articles online, specializing in games and hobbies, health and fitness, and animals. Haughey is a recent graduate from Stevenson University with a Bachelor of Arts degree in English writing.